Flourless Blondies. I was recently asked by a reader to create a flourless blondie recipe. So that is how these flourless vegan blondies came about. If you had my super moist flourless brownies, you know that beans can work very well in dessert recipes. 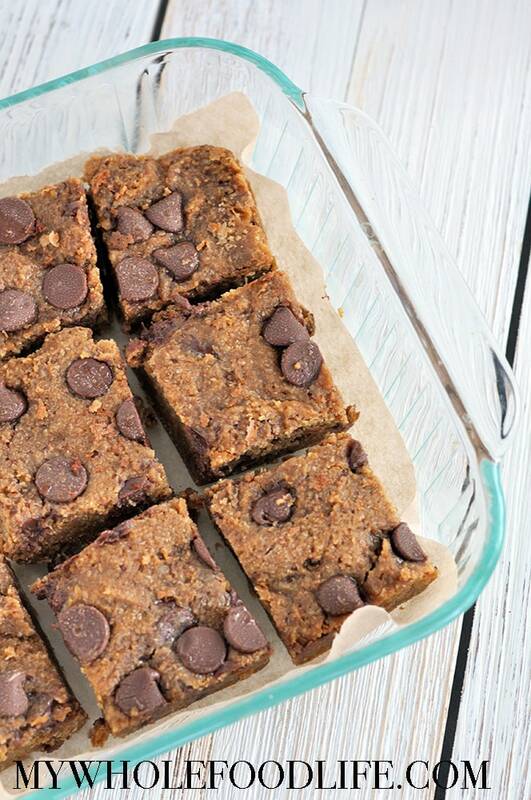 These flourless blondies are so yummy. 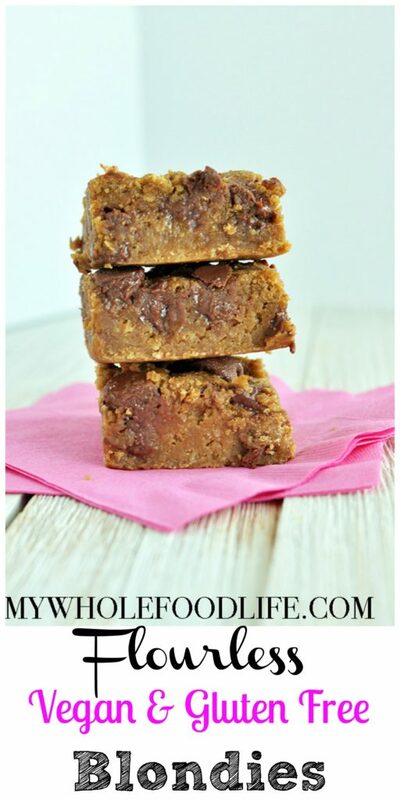 These healthy blondies are so good! I am telling you no one will ever know there is beans in these. Kind of like my peanut butter cookies. My kids were totally fooled! 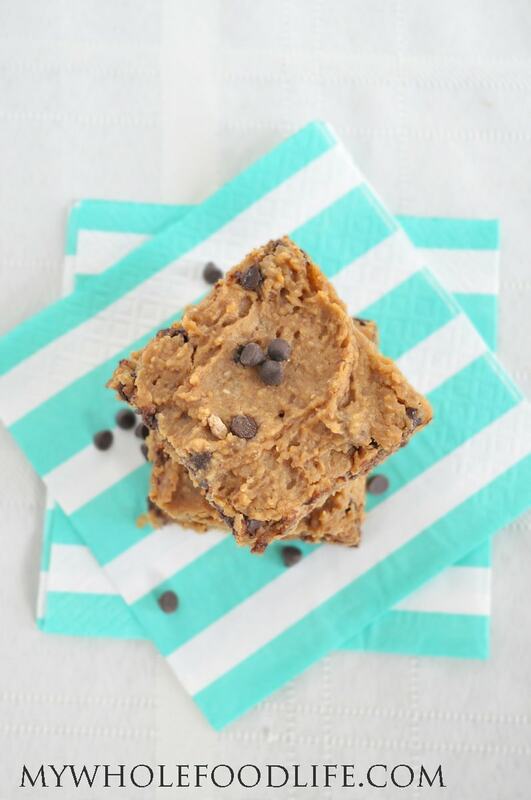 These blondies are vegan, gluten free. If you want to make them grain free, you could probably use quinoa flakes in place of the oats. Quinoa is technically a seed, not a grain. Looking for more blondie recipes? 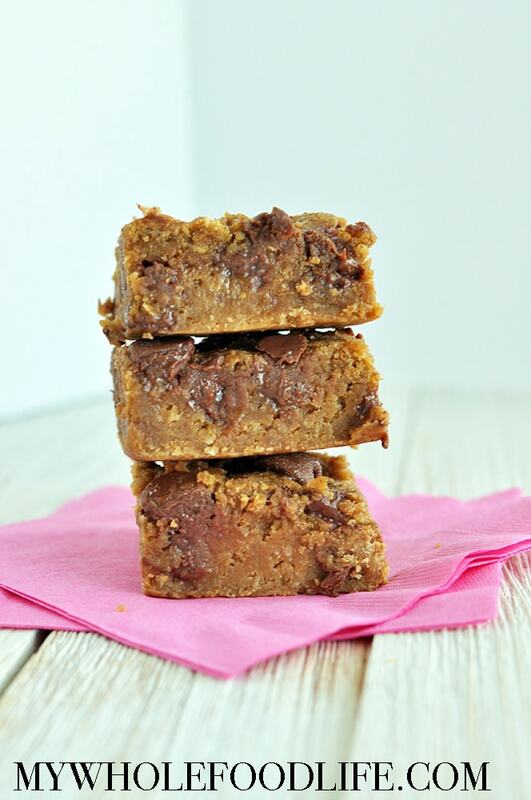 No butter, eggs or oil in these decadent blondies! In a food processor , add the chickpeas and oats. Blend for a minute or two, stopping to scrape down the sides. Lastly, add the chips and pulse a few times to get them mixed well. Spoon batter into the lined baking dish. It will be VERY sticky. Wetting a spatula helps. Let cool completely before removing from the baking dish. I used a pizza cutter to cut mine. Please store these in the fridge. They should last a week. You can also freeze them for longer storage. Enjoy!